One morning a sparrow hawk comes to our garden for breakfast – it was a starling. Picture is taken truth the window, by my partner. 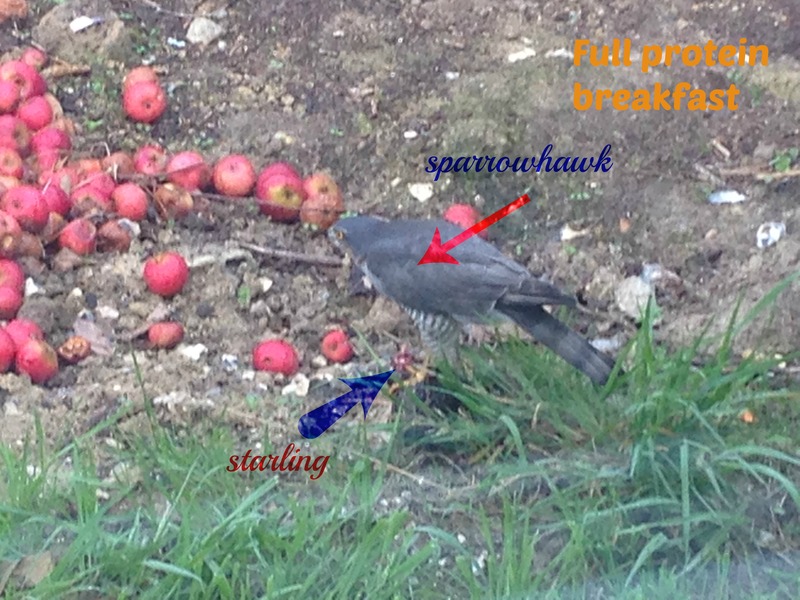 This entry was posted in Nature and tagged Breakfast, life, nature, sparrow hawk, starling by Susanna. Bookmark the permalink.